Trig Pillar on the moors above Throssel. 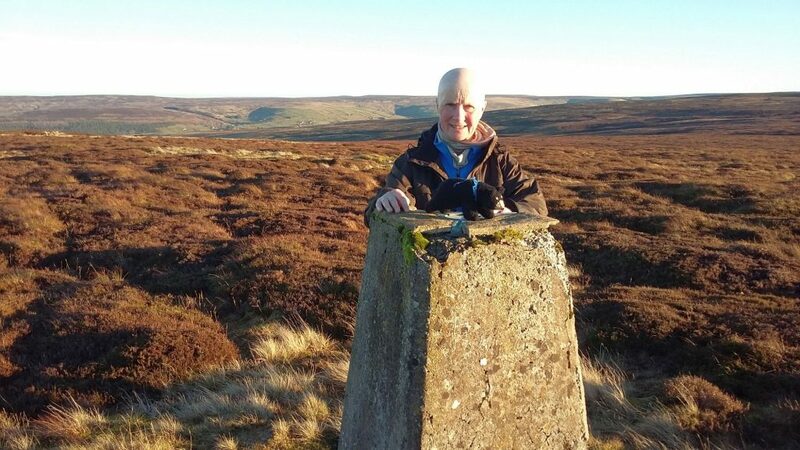 There is something special about our Trig points in Britain to the point of fond (perhaps sentimental) affection. We love to go and visit them, some people even ‘bag’ them in the same way others ‘bag’ mountain tops. Because Trigs are located in high places the views on a clear day are 360 degrees of unincumbered Britain. Today we could see the Cheviots to the north and in all directions we had crystal clear views. 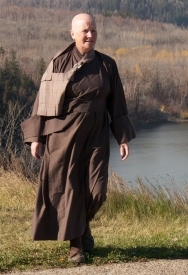 It was a fun walk with fellow monks and Brenda Bear came too, named after Brenda Birchenough a fond friend in the Dharma. With thoughts for those whose day is not clear or bright, whose view is limited and who are alone, and not by choice. Those trig pillars are cool.